WASH Institute is involved in providing skill and capacity building to different stakeholders including high and mid level professionals working in the sector. Also trainings are given to Sanitation front line functionaries across the country for ensuring sustainable sanitation and hygiene promotion. So far WASHi has trained 1520 Engineers/Govt. officials, 2800 NGOs/INGOs, 3500 Master Masons and 600 school children across the country in the field of integrated water supply, sustainable sanitation, water quality, water & sanitation during emergency relief, ECOSAN, water security and water management etc. •	WATSAN Professionals: To meet the existing gap in availability of experts in WATSAN sector the institute offers a PG Diploma Course in Environment Sanitation Science and a Certificate Course for Health Workers. Several of our past students have been placed in reputed industries and organisations. •	Sector Workers: Wash Institute has provided ToT training to Government engineers of Public Health and Engineering Department (PHED),Panchayat Raj and Rural Development (PR&RD) and Front line functionaries (ASHA, ANM, Anganwadi workers, School Teachers, SHG Members), NGO and INGO staffs working to address the Water, Sanitation and Hygiene Issues in India. •	Masons: Construction of quality toilets depends on the skill of the masons involved. In many places the quality of toilets constructed is not up-to the standard due to lack of technical skills. 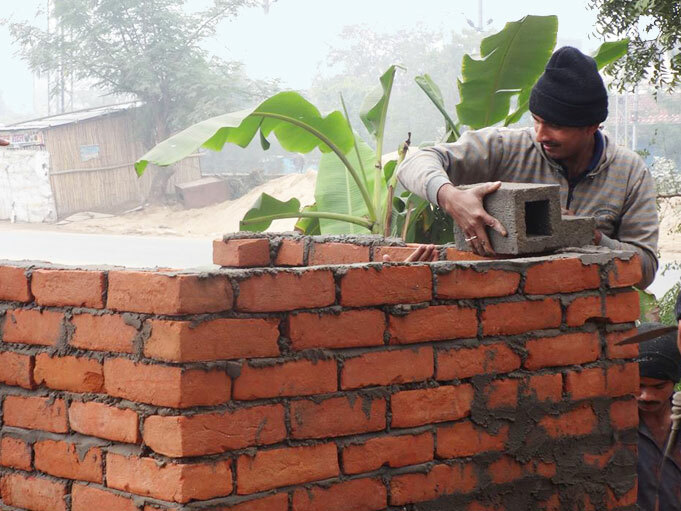 WASH Institute provides hands on traning to masons to build quality toilets and also on technology of modular toilets. •	Children: As children are the change agents, every year special focus is given to train school children on WATSAN and the impact of these trainings will help usher in a new generation of citizens to make India to achieve the status of Swachh Bharat ("Clean Country), and this will have a major impact on the region as a whole.